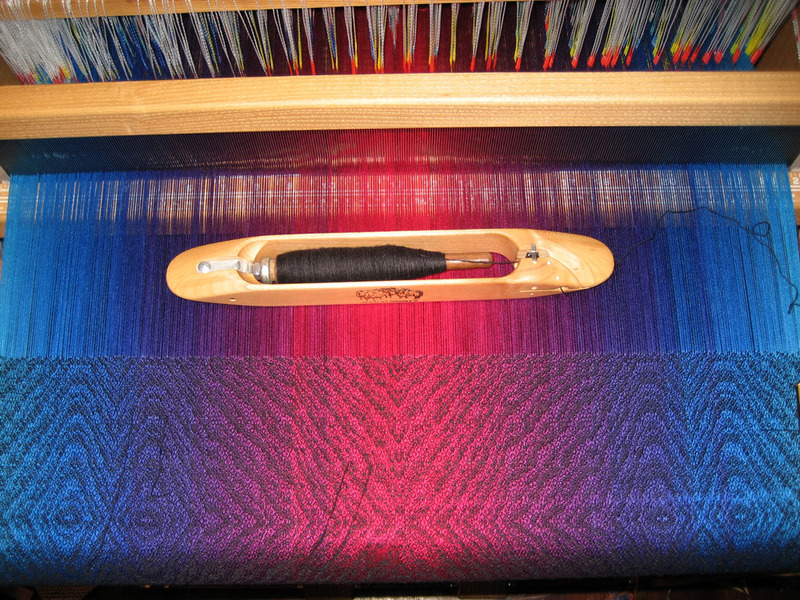 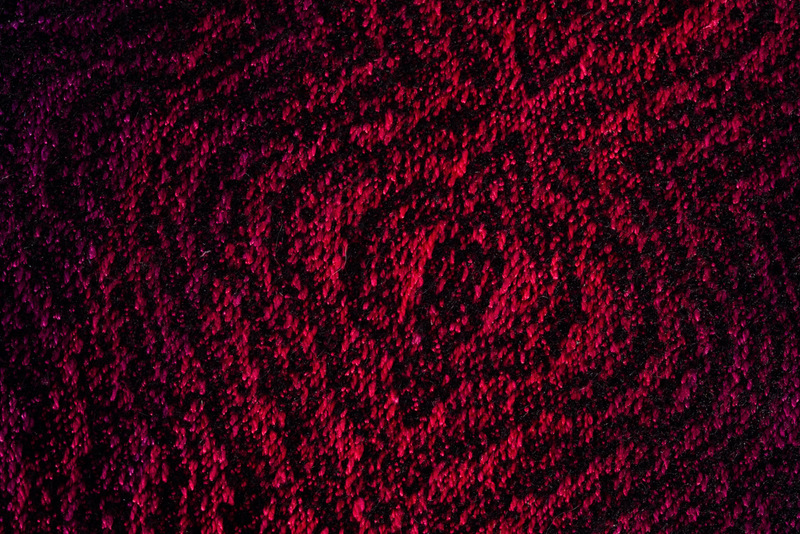 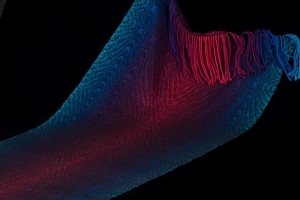 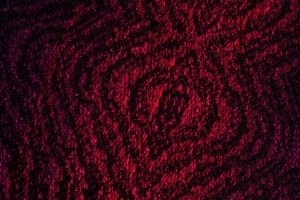 This shawl, which is one of my favorites, is woven on a 2/28 nm silk warp dyed in 29 colors, with a black cashmere yarn of about the same weight as weft.Â The colors are so close to each other that visually they are almost indistinguishable, producing a very nice gradual fade from turquoise to fuchsia and back again. This kind of gradual color change has been so successful that I am embarking on a new adventure: dyeing a full color wheel in 60/2 silk, in gradually changing colors!Â I estimate that it will take about 120 skeins to get all the way around the color wheel, but fortunately I have enough 60/2 silk on hand that I can do it.Â Then I can REALLY play! 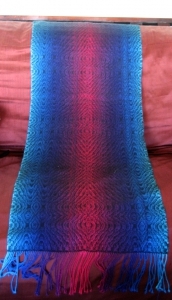 An in-progress photo. 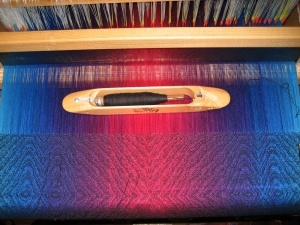 I love the way the colors look in the warp!